New-Collar Workforce is a quarterly column that discusses Industry 4.0, the skills gap, and workforce education. 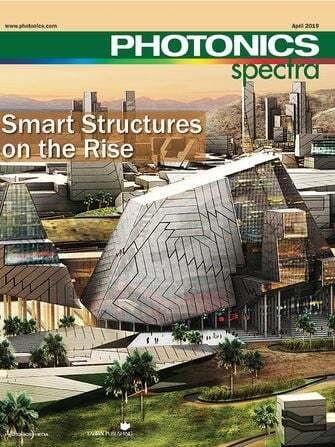 My inaugural column in Photonics Spectra (January 2019) provided an overview of the rapid changes to work and workplace in manufacturing. The photonics industry is experiencing the same skills gap that 3D printing, advanced robotics, artificial intelligence, predictive analytics, and generative CAD design brought to the workplace. And the gap is not being closed by traditional, four-year degrees. Ginni Rometty, CEO of IBM, states that fully one-third of manufacturing jobs at IBM require no college degree1. A high school graduate whom I met recently in a makerspace in New Mexico told me he was offered a six-figure job at Microsoft even though he had not completed college. Digital badge class studying computer numerical control (CNC) machining and laser cutting at Fab Lab Hub. Courtesy Fab Lab Hub. For operators and technicians, training options now range from associate degrees and certificates to totally new training models that include digital badges, P-TECH (Pathways in Technology Early College High Schools), and informal programs in fab labs. In this changing learning landscape, several innovative learning programs have emerged to train the types of hard-to-find workers needed in a tight labor pool2. Greg Kepner, chair of the Advanced Manufacturing Programs department at Indian Hills Community College in Ottumwa, Iowa, recognized an opportunity when a 2012 national survey predicted that the photonics companies in the Midwest region would need close to 1000 technicians over the coming five years3. Indian Hills began by offering an associate degree in applied science in laser and optics technology. As of early 2019, the program has nearly 600 graduates working with 140 companies that either build or use optics and photonics technologies. Workplace-ready technicians who possess skills such as aligning an optical train are in high demand, and the program is expanding to meet employer needs. With a 2014 National Science Foundation grant, Indian Hills led the creation of the Midwest Photonics Education Center, which Kepner now directs. Together with eight additional institutions in nine Midwestern states, Indian Hills is targeting education on skills specific to the photonics industry and the customers that use photonics products. A digital badge is a validated indicator of skill or achievement based on the Open Badge platform, which was launched by Mozilla in 2013. The badge communicates skills by providing visual symbols of accomplishment with verifiable data that can be shared across the web. Digital badges, sometimes referred to as micro-credentials, can be earned in various learning environments. Today, companies from Autodesk to Microsoft use digital badges as the basis of their skill certifications. Colorado State University, Purdue University, the Colorado Community College system, and Santa Fe Community College’s continuing education department are just a few of the institutions offering the microcredential as an option on their campuses. Digital badges can be used in a variety of ways, and flexibility is a key feature. They enable students to affordably try out a field by earning a single badge, rather than investing in an entire two- or four-year program. A badge in a single topic may be used by a student to get a STEM job, which may then enable the student to pay for a traditional college education. And employers are using digital badges as a way to upskill their own workforce. One strength of the digital badge lies in its ability to verify a worker’s skills more comprehensively than a certificate. In my research, manufacturers reported that the most sought-after attribute for new hires was good problem-solving skills, so I created a new digital badge design and added a portfolio component, which documents a student’s real-world problem-solving experience. 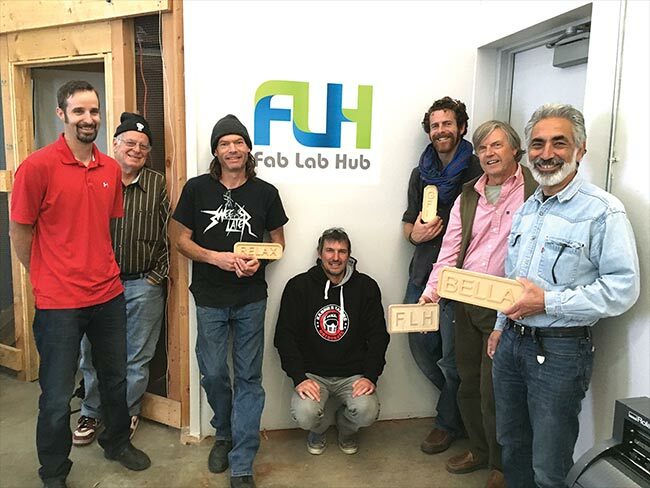 Following my research, the newly formed North American Digital Fabrication Alliance (NADFA) is piloting a program at 10 colleges and fab labs around the country that incorporates a hands-on project with the digital badge. The documentation will enable a potential employer to follow students’ thought processes, offering valuable insights into their skill sets. The alliance meets in Pittsburgh, Pa., in April at the annual DigiFab Conference to share best practices. Potomac Photonics Inc. CEO Mike Adelstein and Trumpf Inc. (USA) general manager Ralf Kimmel are founding board members and are part of the group guiding the organization’s initial certifications in additive manufacturing, laser materials processing, and laser safety. Motivated by its own need for a skilled “new-collar” workforce, IBM set out to help public schools create the P-TECH program. Spanning grades 9 to 14, the goal is to accelerate learning by combining the opportunity to earn a high school diploma with an industry-recognized, no-cost associate degree; on-the-job experience; and mentoring and internships. So far, the success of the program seems to come from industry buy-in, which enables graduates to be readily hired into the workforce. Since 2011, P-TECH schools have grown from just one trial location to over 100 schools in four countries. Using project-based learning and the latest online tools, many students in the program graduate in less than the six years allotted. In some cases, they are the first in their families to complete post-secondary education. The urgent need for skilled workers, combined with advancements in learning tools and methodologies, has forced innovation at all levels, including K-12 and postsecondary institutions. Programs that think outside the traditional training box have become accepted, and they underscore the need for the lifelong learning required to keep up with an exponentially changing work world. My July column will look at the education initiative started in 2018 by America Makes, the national additive manufacturing institute established in 2012 in Youngstown, Ohio. In collaboration with the Department of Defense, this initiative has begun working to ensure the availability of a trained workforce for new 3D-printing applications. Sarah Boisvert founded Fab Lab Hub after 20 years in manufacturing as the cofounder of Potomac Photonics. She provides nationwide training in manufacturing skills and is the author of The New Collar Workforce, email sarah@newcollarnetwork.com. 1. B. Darrow (Nov. 15, 2016). IBM CEO makes case for ‘new collar’ jobs in open letter to Donald Trump. Fortune Magazine, http://fortune.com/2016/11/15/ibm-ceo-letter-to-trump. 2. In my research with manufacturers for The New Collar Workforce, across the board, employers were more interested in skills than degrees. S. Boisvert (2018). The New Collar Workforce. Pittsfield, Mass. : Photonics Media Press, https://store.photonics.com/Product.aspx?SCID=0&SPID=25&SPOID=43. 3. D.M. Hull et al. (Oct. 8, 2015). Estimation of national and regional industry demand for photonics workers in the United States. Proc SPIE, Vol. 9793, Education and Training in Optics and Photonics: ETOP 2015, www.spiedigitallibrary.org/conference-proceedings-of-spie/9793/1/Estimation-of-national-and-regional-industry-demand-for-photonics-workers/10.1117/12.2223206.full?SSO=1.